Every year, drunk drivers bring untold misery and suffering to hundreds of families in Florida. The accidents they cause leave victims struggling to cope with the life-changing effects of the event. If the injury is severe, your insurance policy may cover only a fraction of the costs of the medical care and long-term treatment you need. You are entitled to claim compensation for your full losses from the negligent party, especially drunk drivers. Any judgment obtained against an at-fault drunk driver cannot be discharged through a bankruptcy filing. Radloff & Radloff, P.A. has extensive experience helping victims of drunk driving accidents and other negligent acts in Florida obtain compensation for their losses and suffering. This experience and our passionate commitment to each client's cause have earned us a remarkable record of success in personal injury cases. Call 866.451.3211 toll-free for a free consultation. We want to help you overcome the effects of the terrible event that has altered your life. Even when the loss and liability is obvious, cases involving drunk driving accidents are not easy. The lawyers for the insurance company and the defendant often contest cases involving severe injury. There can also be complex issues involving liability that can affect the case. 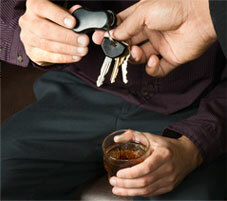 A criminal conviction of the driver for DUI/DWI is helpful, though not always necessary. Radloff & Radloff, P.A. is a determined advocate dedicated to succeeding on behalf of our clients. Our lawyers work hard because we understand the troubles you face. We will work to build a strong and convincing case designed to obtain justice and the financial resources you need to rebuild your life.